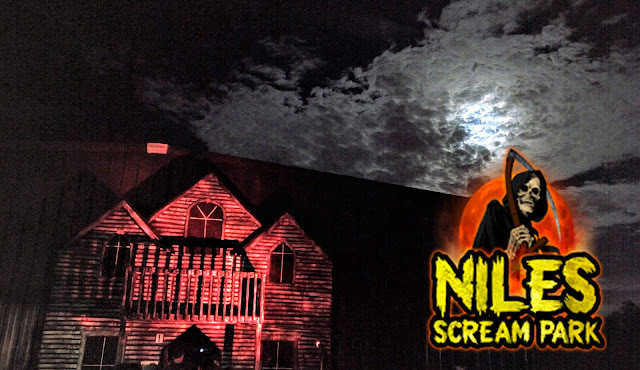 We were able to squeeze another haunt in over the weekend, so we ventured on over to Fright Manor, one of Indy's longest running haunted house attractions. 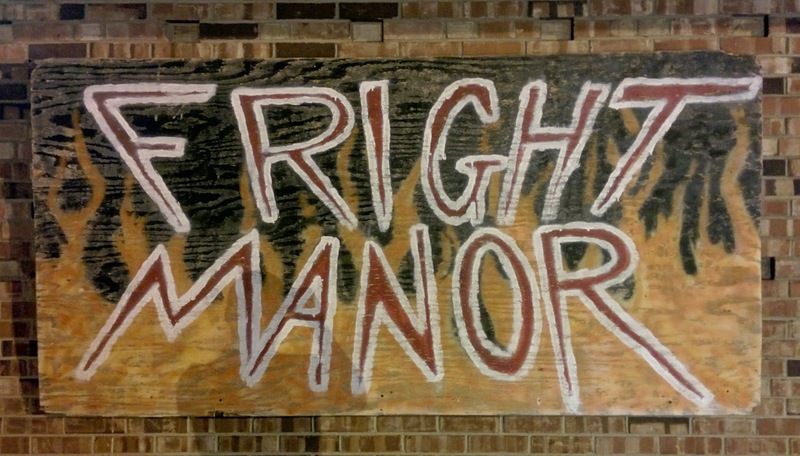 The south side convenience was a huge plus with Fright Manor's location. Upon arriving, something that immediately stuck out to me that they were showing movie clips from horror movies through a projector, behind the concession stand. We kicked off our Fright Manor experience by entering Zombie Alley, a live-action first person shooter that puts you in the middle of a zombie apocalypse. After you're read the rules, you're then handed a shotgun and a backpack and let loose into the war-torn abyss. The attraction was well-designed but lacked the exotic detail that I'd expect from a haunt with such history. We were attacked by zombies from seemingly every turn imaginable, which was awesome, to say the least. As for sound and lighting, the sound was okay but the lighting could have been a little more, maybe just highlighting some of the sets better. But all in all Zombie Alley was a neat gimmick that I'm sure customers will get a kick out of. Upon entering the Southside Sanitarium, we were immediately greeted by a security officer who's at their wits end trying to keep the facility maintained. We're given a brief but informative summary on the current state of the sanitarium and how the inmates now run the facility. Medical facilities seem to creep a lot of people out and Southside Sanitarium uses that to full effect. The lighting was a little better this time around the scares remained on par. Another attraction within the walls of Fright Manor was 13 Nightmares, which honestly, is the bread the butter of Fright Manor and is the stuff good haunted houses are made -- just good old fashioned set design and actor scares -- and this one has plenty of both (including a sweet Leatherface kitchen scene). The actors in this attraction in particular really seem to like what they're doing and are happy to be here, which is a great thing to see. 13 Nightmares is worth the price of admission alone ($20). We eventually were lead into Psychomanthium, a twisted scenario of the mad and macabre. Again, the acting is up to par and the sound and lighting here are great. Billed as a place where they "conjure the dead," it lives up to the name! The scares were genuine and the thrills just keep coming. Another one of my favorite aspects of Fright Manor was Purgatory Prison, a nice addition with a slew of mazes and thrills. I really dug the brooding atmosphere and the intricate layout and design of this haunt. There's no better way end a haunt than with a scary chase through an outdoor scene. The hope of the exit being near looms as masked maniacs coming chasing with chainsaws in hand.